Whiplash is a condition that occurs when the neck is injured by a sudden and severe jarring movement, often in the case of a car accident. As the name implies, the impact of the crash causes the skull and vertebrae to move in a whip-like motion, creating undue strain on the joints and discs of the upper spine. 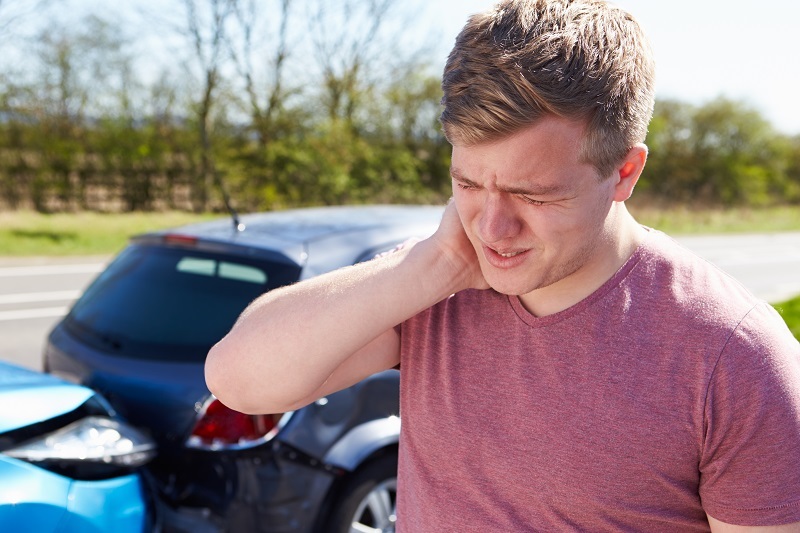 Rear-end collisions are some of the most common sources of whiplash injuries. As a result of whiplash, a person may experience generalized pain and/or serious conditions like joint dysfunction (leading to a narrower range of motion) and disc herniation, in which the discs between vertebrae tear and protrude, sometimes affecting spinal nerves and causing shooting pains, numbness and/or muscle weakness. Through a combination of treatments such as muscle relaxation/stimulation, exercise, spinal manipulation and implementation of ergonomic solutions, a licensed chiropractor can offer significant relief from the symptoms of whiplash. Spinal manipulation is commonly used for those experiencing joint dysfunction. Gentle stretches and trigger-point pressure may be applied by the chiropractor to relieve muscle tension and/or contractions. If you’re experiencing whiplash pain, consider talking to a chiropractic professional about your options for pain relief. A licensed chiropractor will help you address immediate pain as well as suggest any lifestyle or ergonomic changes that can help promote good spinal health going forward. Contact Dean Chiropractic to learn more or tomake an appointment.